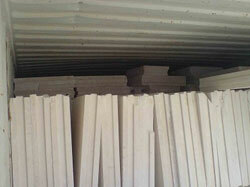 We offer a wide range of Gypsum Ceiling Tiles. These have got a wide utilization in showrooms, offices, hospitals, factories, base room and other similar areas. This are provide with unique features like fire resistance, light weight.